Are you excited? 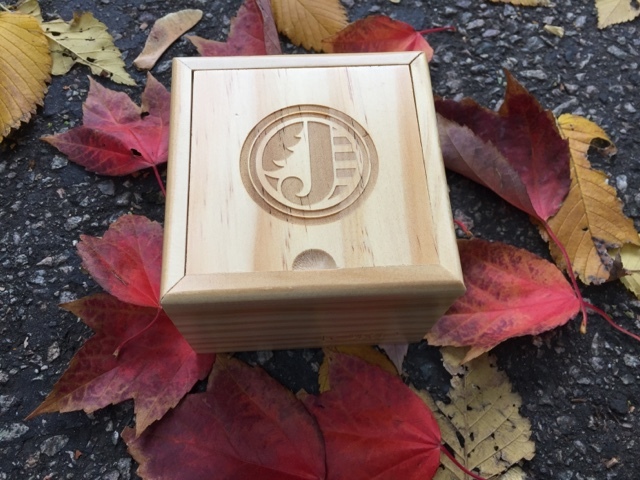 Today's review features JORD's Fieldcrest style watch in Maple. 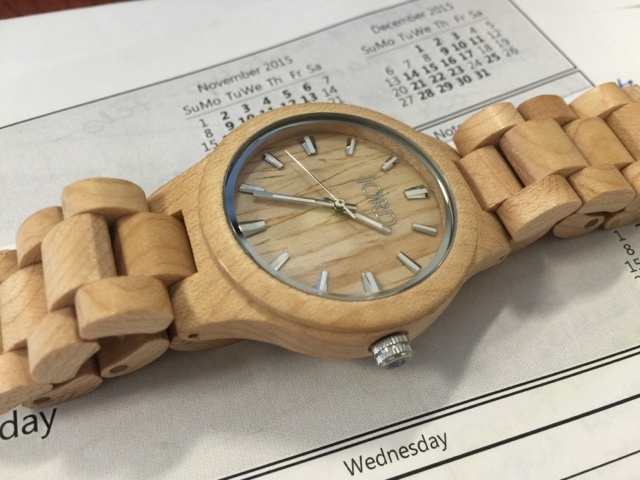 So the JORD watches are, if you haven't noticed, wooden watches. And yes, this means that each and every watch is made from wood, with different types of movements (the pieces that make the watch tick and provide you with the correct time) which are all metal - the only non-wood caveat besides small pieces of the face. And trust me, you probably want these pieces to remain metal (I imagine the wear is a lot longer that way). This Fieldcrest watch has the Citizen Miyota 2035 movement. I also want to mention a portion of JORD's Mission Statement in the About Us section of their webpage. I really love the statement under EXPERIENCE, I feel it describes most people who would venture into buying a wooden watch or something with an innovative premise, a cool twist on the usual - besides the beautiful and sleek craftsmanship. 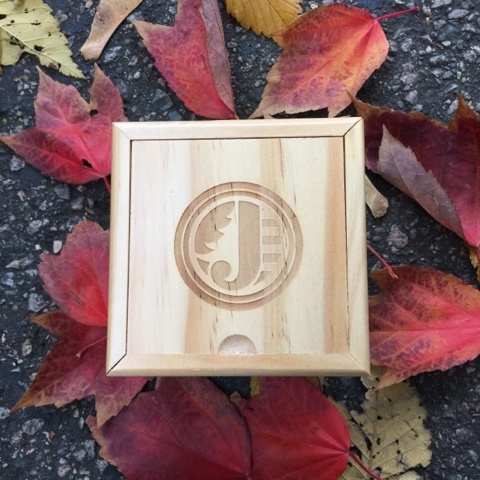 As I said before, the presentation and the box that this watch comes in, is very conducive to be given as a gift - but it's also nice to treat yourself with a gift that's both practical and sustainable. In terms of every day styling, I'm a fairly simply kind of girl. I don't overdo it with the accessories. This watch is great in the way that it's completely flexible. 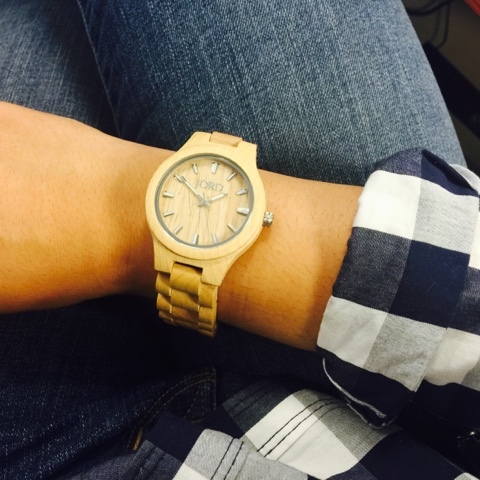 Being a wooden watch, it's definitely a standout piece and a great ice breaker. However, because the design is very sleek and modern, it allows for accessories to be added without interfering too much or risking that "overdone" look. 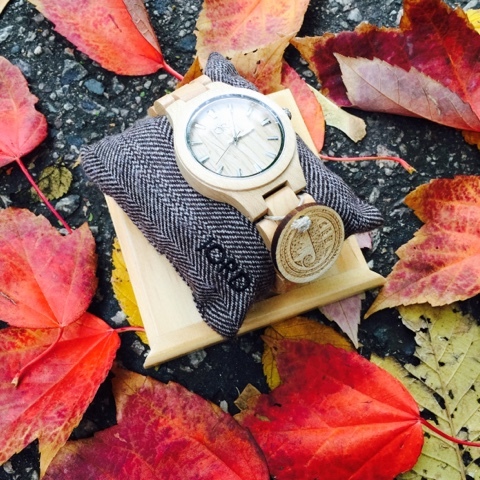 The maple wood on this watch is a nice neutral - meaning you can pair it with gold, silver or colorful jewelry no problem. If you're thinking that this watch may be too casual or too 'outdoorsy', then you're wrong #sorrynotsorry. I've worn this watch to work on several occasions, and it honestly looks great with my business clothing. It fits in to the work/corporate environment just as much as it can fit into that hiking/outdoors environment. It even just looks great alongside all my work documents and scheduling - an obvious and perfect way to keep track of time. I took the above photos for another reason as well: to show the level of details that's put into them. They're very well designed, you won't get anything akin to a sliver or even a scratch - the surface of these is just so smooth. 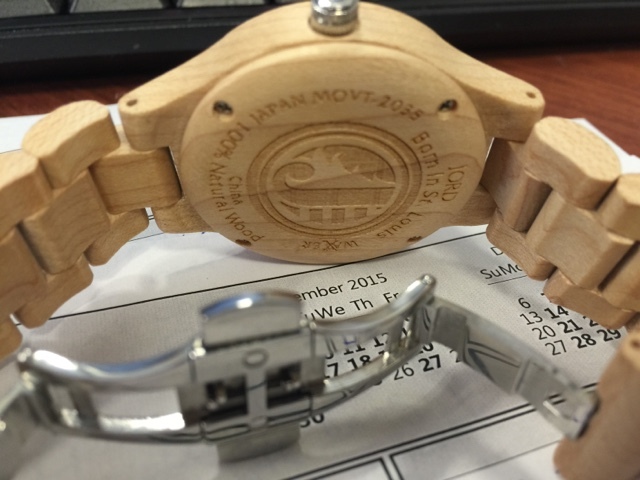 Even the engravings, as seen on the back of the watch, are smoothed our and survive the wear. As an important side note - the watches are splash-proof, but not waterproof (as shown on the back of the timepiece). The last thing I want to mention, is that these watches are light! On first look, you'd think a wooden watch would be heavier, or atleast just as heavy, as a classic metal watch - but it's not! They're so much lighter and its easy to forget they're actually still on your wrist (I even cooked a full meal wearing mine, forgetting it was there). Everyone I run into who wants to try on or hold my watch always gasps at this aspect. 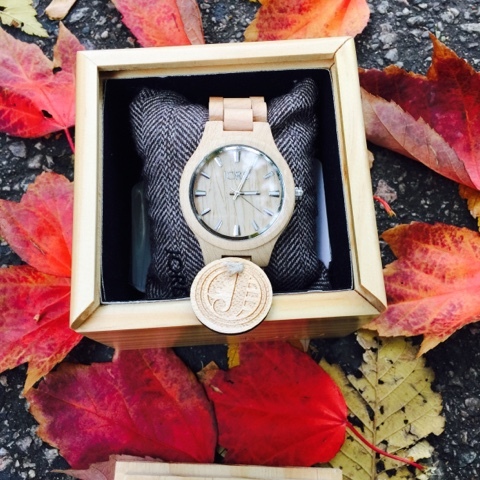 So if you didn't even know wooden watches existed, you're welcome. If you've been looking to buy one but can't find anyone that has that sleek and modern style, go to JORD, and you're welcome. At this point, I'm fairly certain they're only available online, but shipping is FREE worldwide! What's your favorite watch? Have you ever heard or worn a wooden one? Disclaimer: this watch was sent to me by JORD for consideration and review.